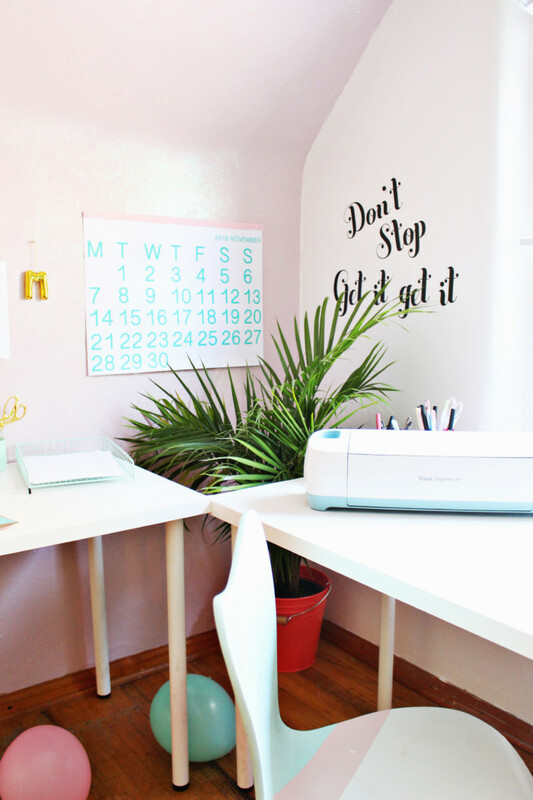 If you love the Stendig calendar, you’ll love this free printable version that comes in color! 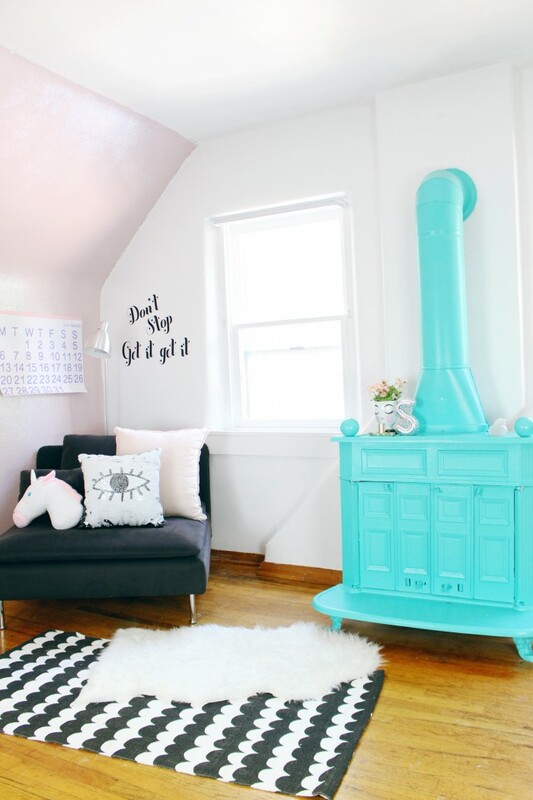 Every month is a new fun color, instead of just black and white but features the minimal style you love. You know I’m a sucker for the Stendig. As I explain in my last two posts about it (2017 and 2016) though, I can never seem to purchase it in time. So, I usually DIY my own (see linked posts for the how to!). This year, though I decided to do it in color! I felt like this choice would serve two purposes: firstly, I’d feel less like I was ripping off the amazing original Stendig. Which I only felt okay doing to begin with because they always sell out and I didn’t provide it until after they did. 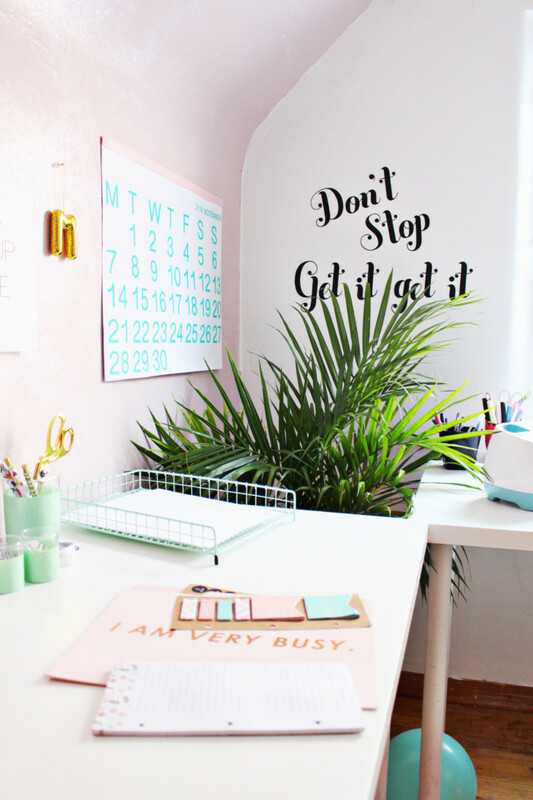 And secondly, it really does match my office/craft room better. And I have to say, I just LOVE how it turned out! I actually made this calendar last year, at the beginning of 2017. But, 2017 was CRAZY. That’s all I can say. Having my second baby was way more out of control than I had anticipated. My son was sick all. the. time. We’re talking a new sickness every other week and they would last for 7-10 days each. I am not exaggerating when I’d say he goes maybe 4 days of being healthy before he’s slammed with something new. (This trend is still ongoing. He’s sick as I write this and we had three different things through the month of December). There are times when I don’t even get to stop using the Nose Frida on him before I have to start using it again :( It truly is the saddest thing. In the beginning, he was hospitalized with RSV/bronchiolitis. After already spending a week in the NICU for jaundice. Of course my heart always ached for parents who had to spend time in the hospital with their kids. But having experienced it…it truly is terrible. Words can’t really describe how awful going through that is. Hospitals and worry and sicknesses and the loneliness…it’s an honest nightmare. Anyway, without going too much into that ordeal, let me just say that yes the year got much better but was still very hard. Otto never slept because he was always sick. And I was always sick with him, I caught everything he did. 2017 was literally the year I was awake and sick. All the time. That’s almost all I did last year! Haha, no of course I got a lot of other stuff done. But beyond the sickness and tiredness, Otto is very attached to me and has only become more so. My daughter, who is 3, also has become less independent as she sees him cling to me. So all of this added up to make my year very overwhelming, a lot of work, and basically no time left over for myself or my projects. It was hard to get anything done. Hard is an understatement. I had about a dozen posts done and photographed before he was born and still none of them made it to the blog. I honestly felt like I didn’t have a spare few hours to write a freaking blog post. I’m sure you noticed. The blog took a big hit, post-wise. We just couldn’t get the content up. Malissa had a really busy, trying year at work and we both struggled in other ways. We appreciate your patience with us as we navigated our year! We love A Joyful Riot, and we love sharing our projects and ideas here. We have no plans to stop and we’re thankful you’re here with us! Grab the file of all the months below (sorry January is almost gone! ), print them via whatever method you want (even small on your home printer!) and then glue them together along the top and I like to glue a thick ribbon along the top too. Then I pin it into my wall. I cut away each month as they end and save them for wrapping paper! They make super adorable wrapping paper! Get detailed instructions on how to make it in this post. Happy 2018 everyone! Can’t wait to see what this year brings, basically just hoping for sleep though haha. 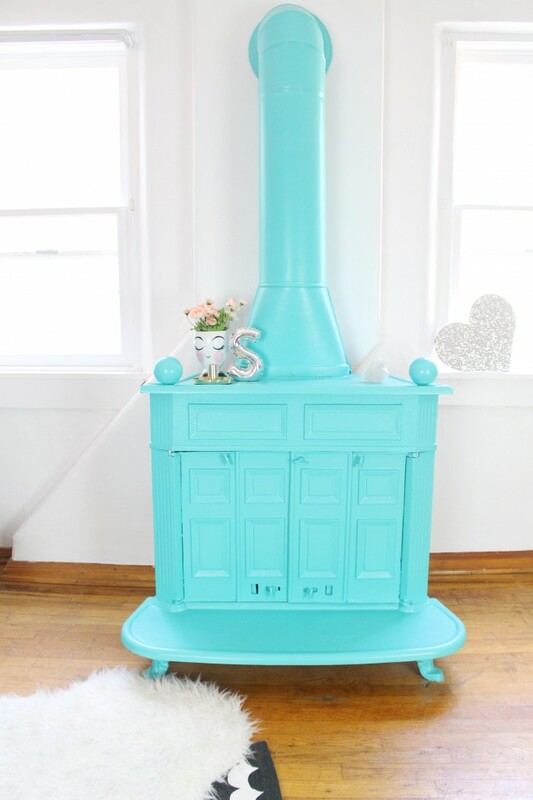 If you have an old wood burning stove that you no longer use, turn it into a beautiful focal point by painting it a bright color! 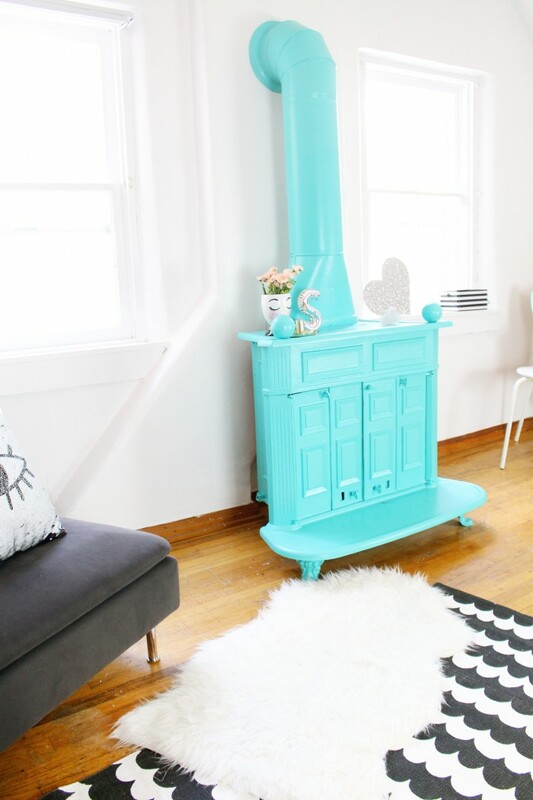 A while back, I shared my craft room featuring this painted wood burning stove which is my favorite part! I’ll forever be hopelessly in love with turquoise and so, even though I considered a few other colors, I am so happy I went with my favorite! I think the bright, happy color adds just enough to this space so that not a whole lot else is required on the walls or windows around it. I’m so lucky to not only have a space with such a fun piece in it but that I can basically do whatever I want to the pieces in my space! I’ve mentioned it a few times before but my house will eventually be torn down so in the meantime I’m painting all the things! 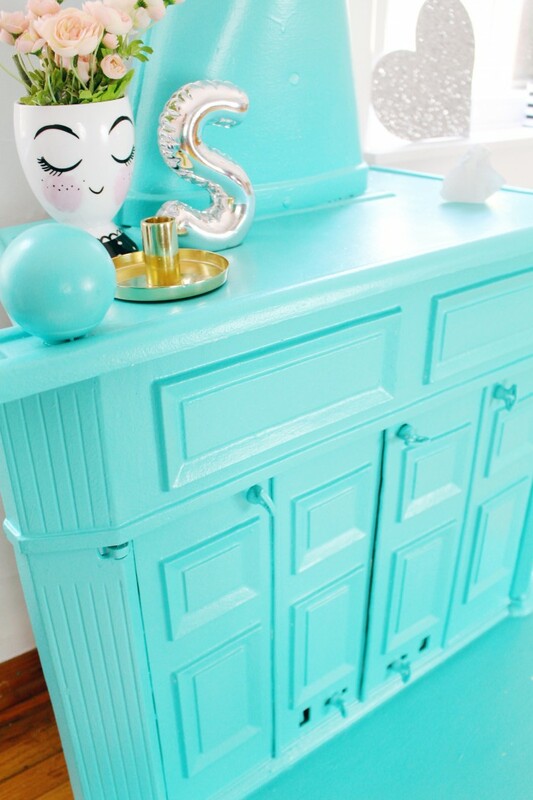 Give a DIYer her freedom and it’ll be her first thought to paint the vintage fixtures haha. But, I really wasn’t sure exactly how to do it and I definitely learned a few things along the way. The first thing I tried did not work out. And I honestly couldn’t find any help online. I tried searching for a multitude of different things and nothing had the help I needed! Eventually I chose my own products and figured it out and I couldn’t be happier! It wasn’t difficult at all, it just took a little trial and error with some products to get the result I needed. Party Starters! How to Throw a Movie Night Party! This movie night party rivals the red carpet with DIY free printable flair pins, an easy glittery star marquee light, and three amazing popcorn mix recipes to share! We saved the last of our Party Starters! 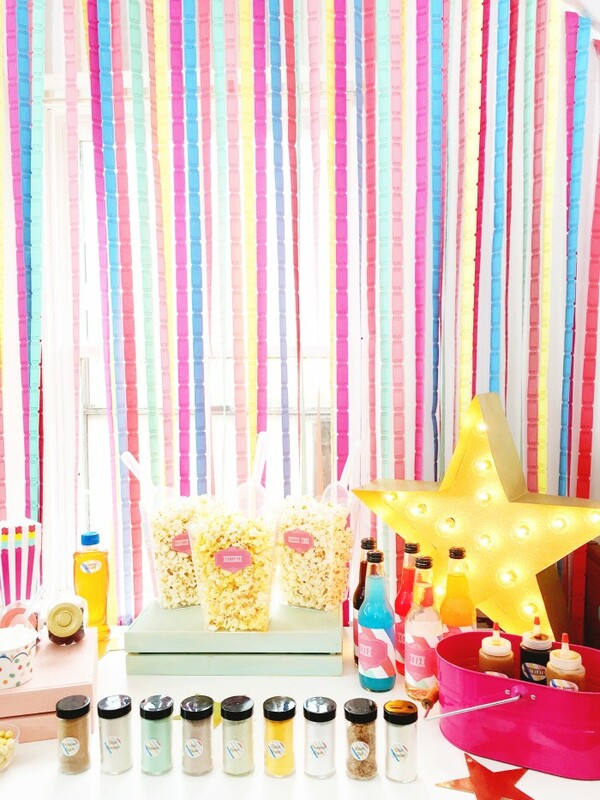 videos for last: this colorful and fun movie night party is our favorite one of them all! We’ve all seen countless movie night inspired parties and popcorn bars in our time (and on Pinterest :D) but we have to say we love how ours turned out. 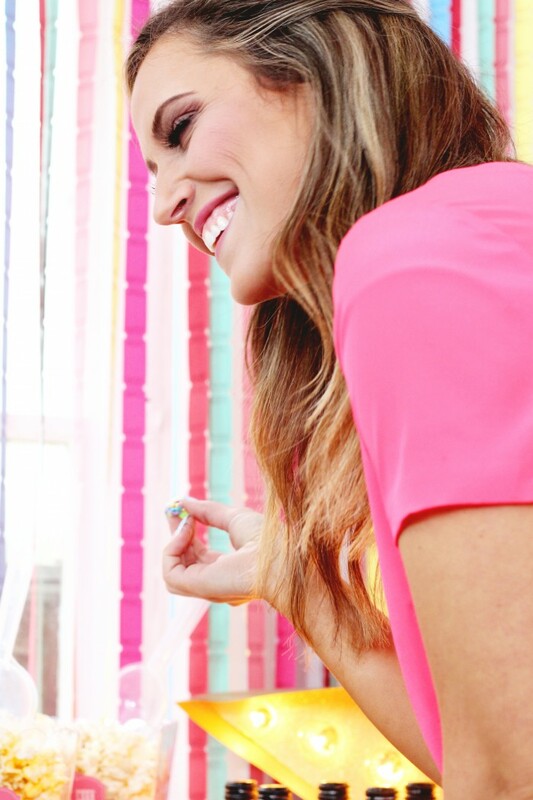 Rather than just gold, red, and black we incorporated fun colors like turquoise, pink, mint, and blue. You may have noticed throughout our Party Starters themes, pink somehow made it into all of them haha! Pink is a very versatile color you know! Or if you didn’t know that, now you do :) We really love how it made each party have its own unique palette and fun vibe. Check out our other Party Starters posts here: donut party, sprinkle themed party, and pizza party! The movie night party was the first party we shot on our second day of shooting. The whole video with all of the projects can be found right here. The movie ticket backdrop was probably the most stand-out part and it made the whole corner ready to party! 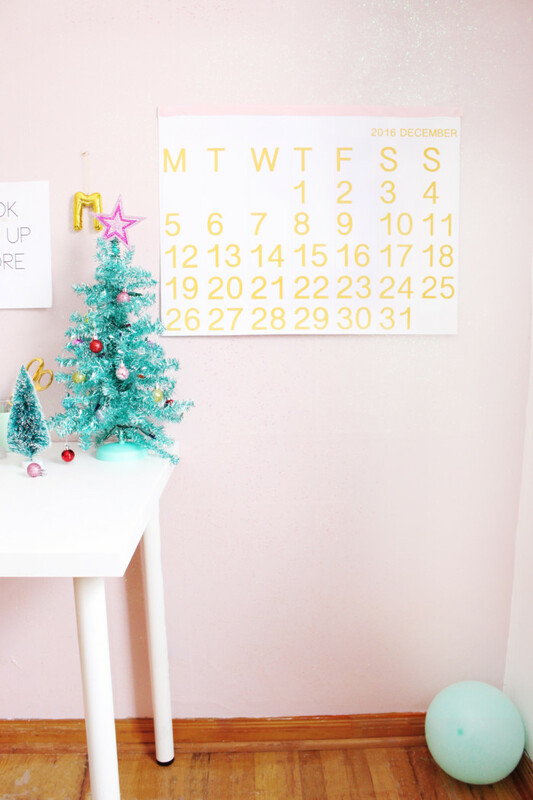 This isn’t a DIY in the video-its just super simple: hang colored tickets (we got ours at Zurchers) with tape from the ceiling to create a colorful background for your popcorn bar! For this party we show you how to make a gold glitter giant star marquee light, shrink plastic movie-themed flair pins, and three amazing popcorn mix recipes! 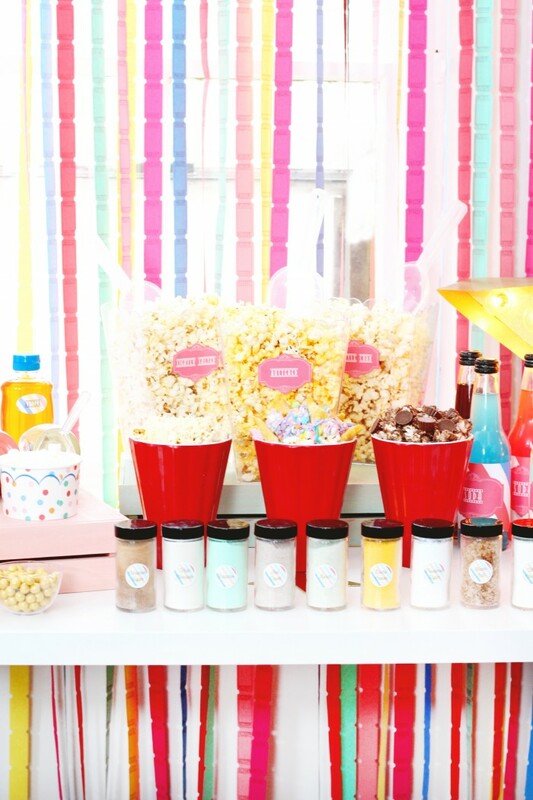 We also gives some awesome tips for creating the best popcorn bar ever and setting up your buffet. 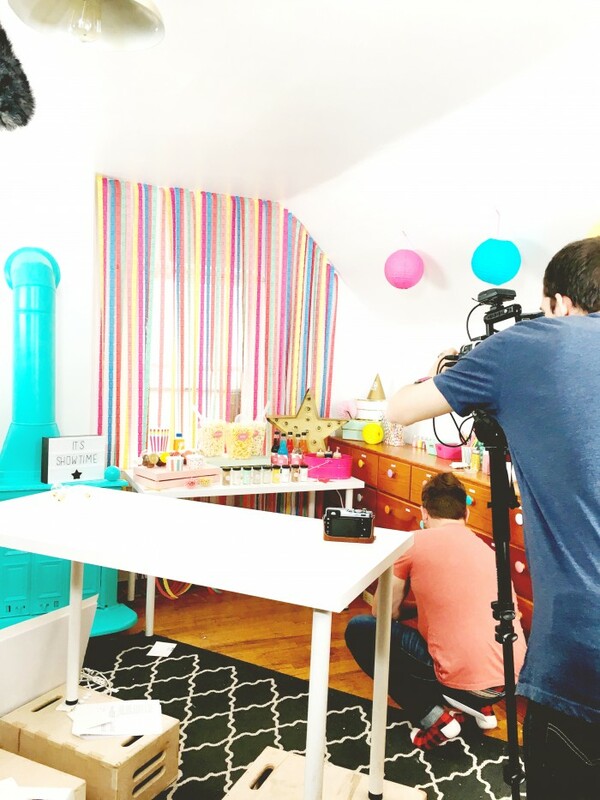 Click through to see all the DIYs and get links to the videos and step-by-step directions! I’m not going to write one of those posts apologizing for my lack of content creation lately. I’m not. Ok…I guess I am. 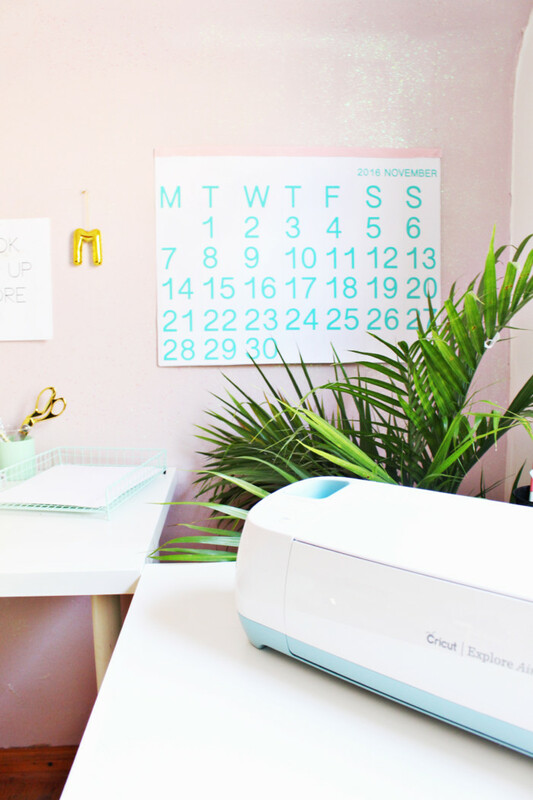 Machelle has been single-handedly keeping this blog alive while in school with two kids. She is amazing. I on the other hand have no kids and am not in school. But I have a job. That is not a great excuse now that I am typing it out though. So sorry for my lack of project creation lately. I thought I would ease back into it with a 5 minute project for you all. And I thought that this was so simple it must have been done a hundred times already but I searched and couldn’t find it. So if any of you have already seen one done go easy on me ok! Bottle brush trees are my favorite Christmas decoration and have been for years. They’re timeless that way. I have included them in my holiday decor for at least the past five years. 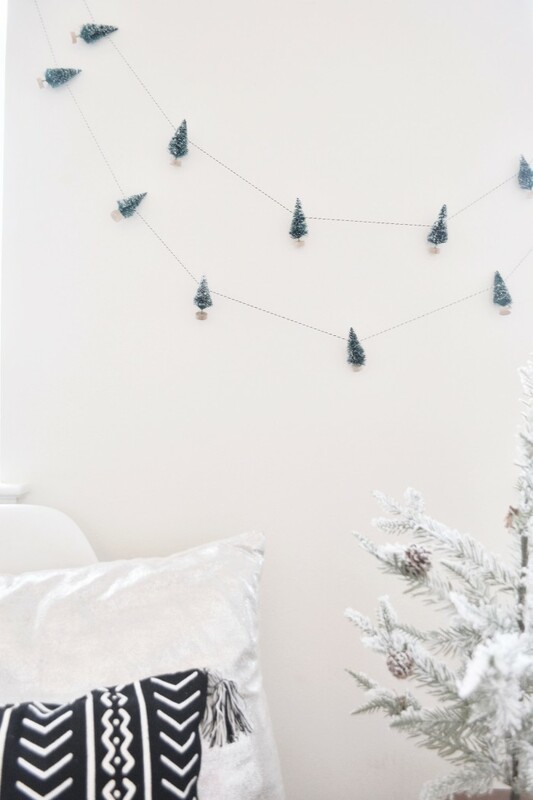 Last year I got a great deal on a bunch of these mini trees and used them as ornaments on my tree which I loved. 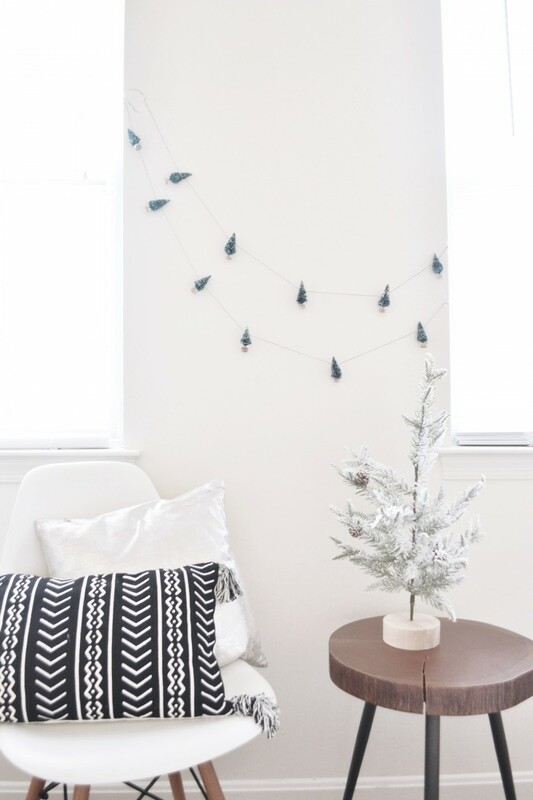 This year, however, I got rid of my white Christmas tree (RIP) and opted for a green one. This left my mini trees discarded to the side and I had to use them for something! 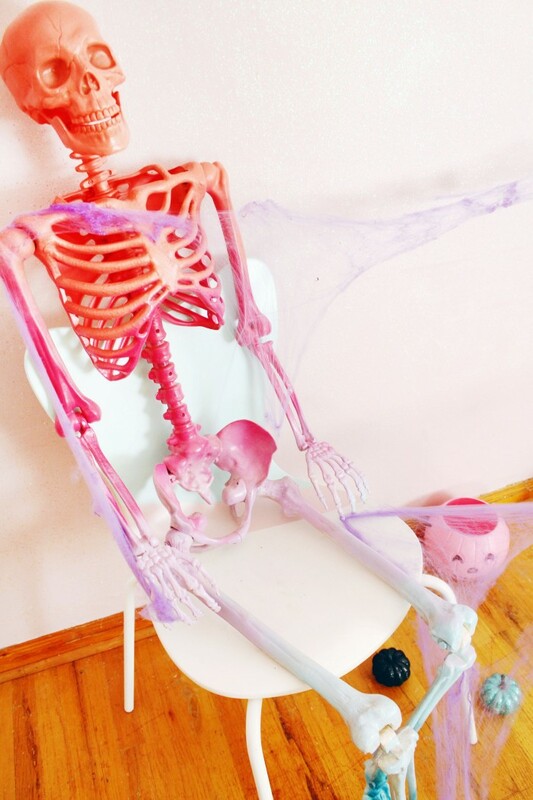 I have been wanting a life size skeleton in my Halloween decorations for…as long as I can remember probably! All this season I’ve been on the look out for one that I could afford. I also wanted him to fit in with my other decorations. I always flip flop between wanting fun and silly Halloween decorations and scary ones! I love a good creepy front porch! But, I also love more light-hearted ones, especially since I have little kids. 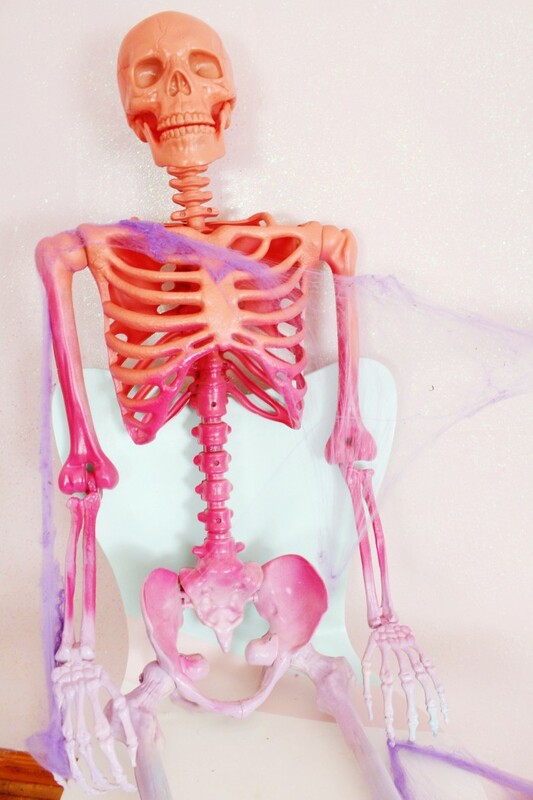 And I know for a fact my three year old appreciates this rainbow skeleton more than a creepy ghoul or something. And, I definitely love it more too! How fun is this guy?! I just love him, I feel like he could stay out all year almost haha. The main thing that was holding me back from this fun project was finding a skeleton for the right price! I saw lots for around $60 and while it seemed like a fair price to pay, it was just too much for me for a very temporary porch ornament. Then I finally made it to Zurchers since they got all of their Halloween out and, not only was it a Halloween wonderland, but they had a full size skeleton for only $30! I was so excited, I immediately nabbed him up and painted him that afternoon. 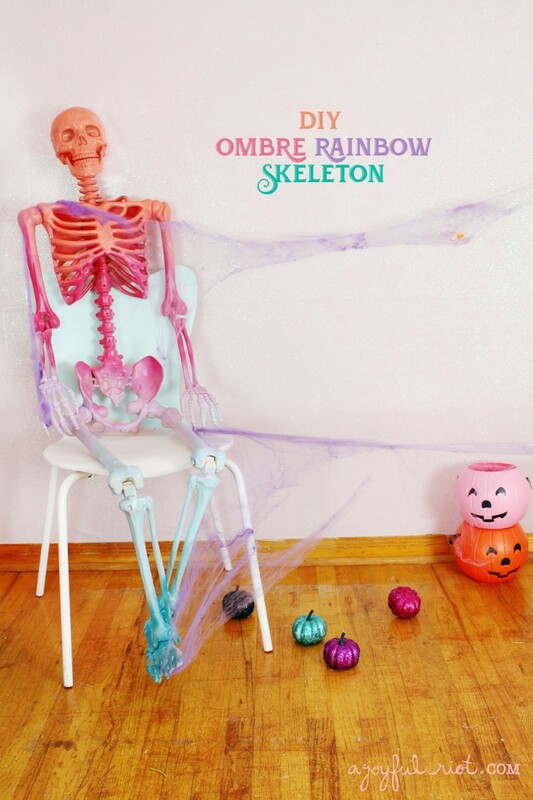 I think every porch and every Halloween celebration needs an ombre rainbow skeleton. like every. single. one. I would definitely recommend spray paint, so you get that nice blending-mixed look. I just used left over spray paints I already had so there was no further expense for me. But a few cans would run you less than $10 so its still a low cost (and very low effort!) project.